In this webinar, Lorant Stary will look at the planning and processes necessary to identify, build and sustain industry relationships that are productive and beneficial for all parties. Lorant Stary commenced his VET career as an industry trainer, moving onto coordinator and manager in a number of RTO teaching areas. 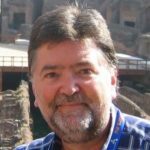 He has successfully lead the Learning Research and Design department in a large TAFE institute and managed a commercial unit in a large RTO specialising in assessment services.